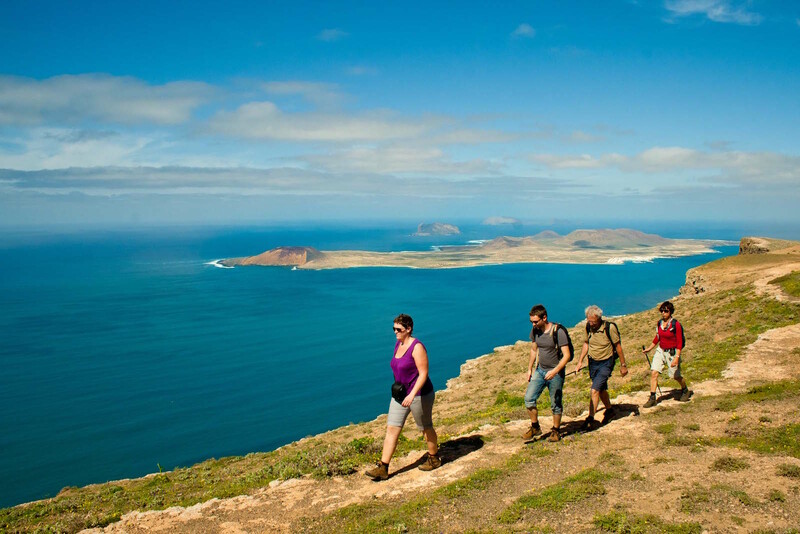 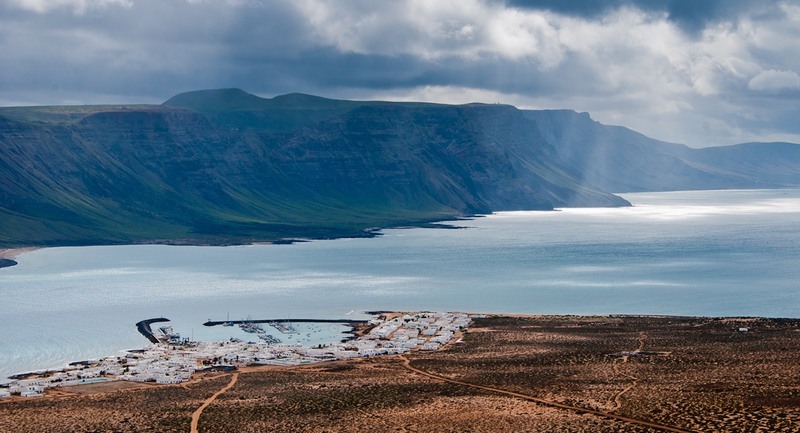 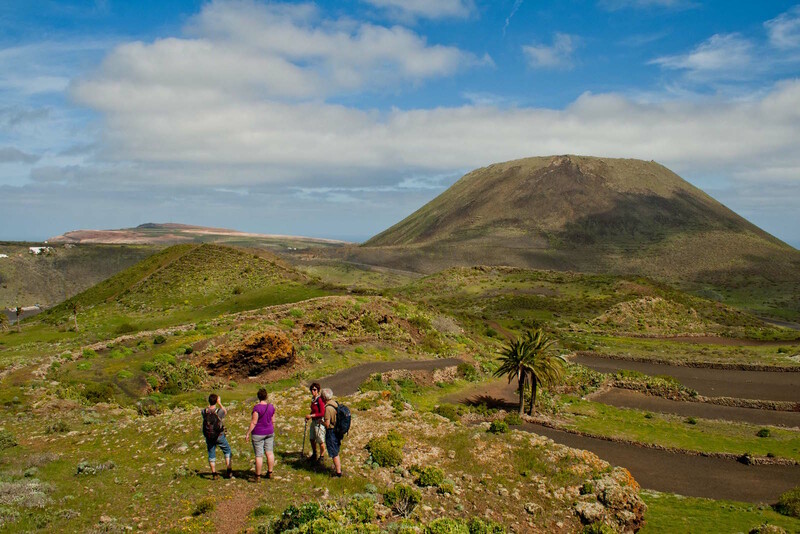 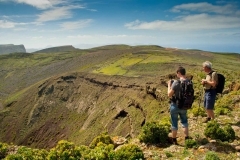 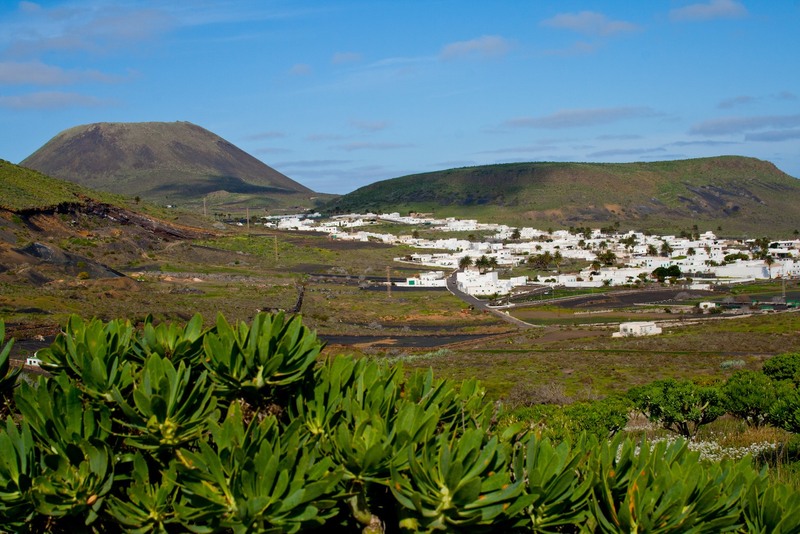 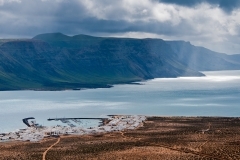 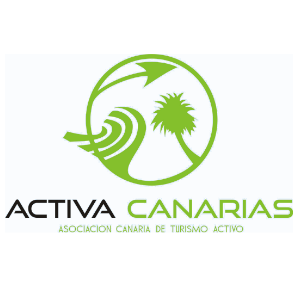 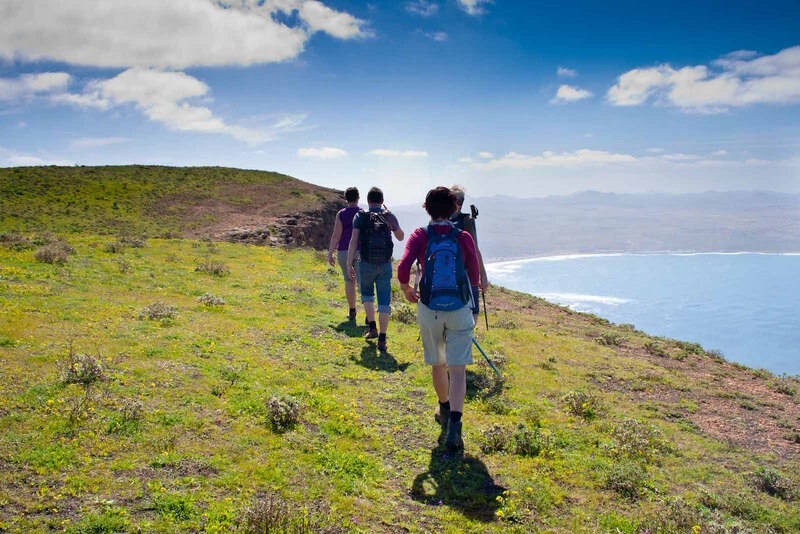 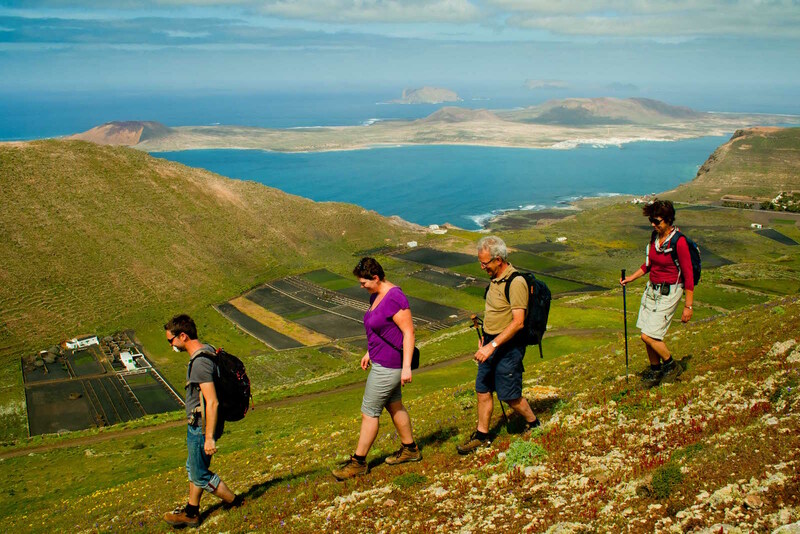 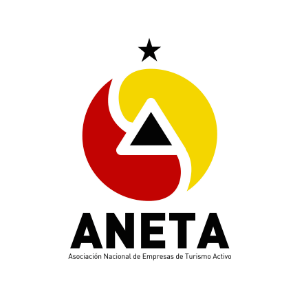 This beautiful hike is carried out in the northern part of Lanzarote where one can walk through two nature protected areas; The Nature Monument Volcan de la Corona and Famara Cliffs within the Archipielago Chinijo Nature Park. 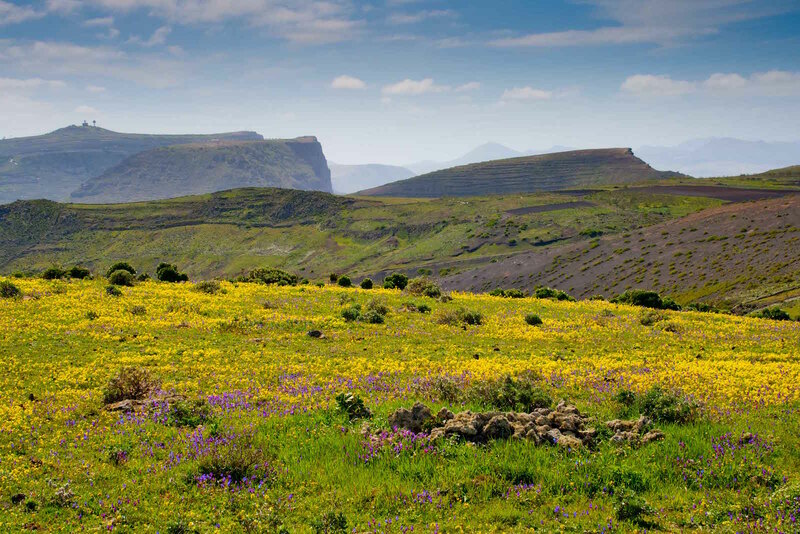 This route starts in Ye. 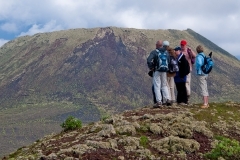 From this town our trek ascends towards the crater of La Corona volcano. 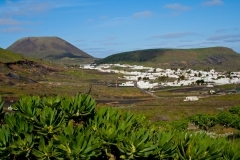 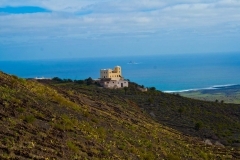 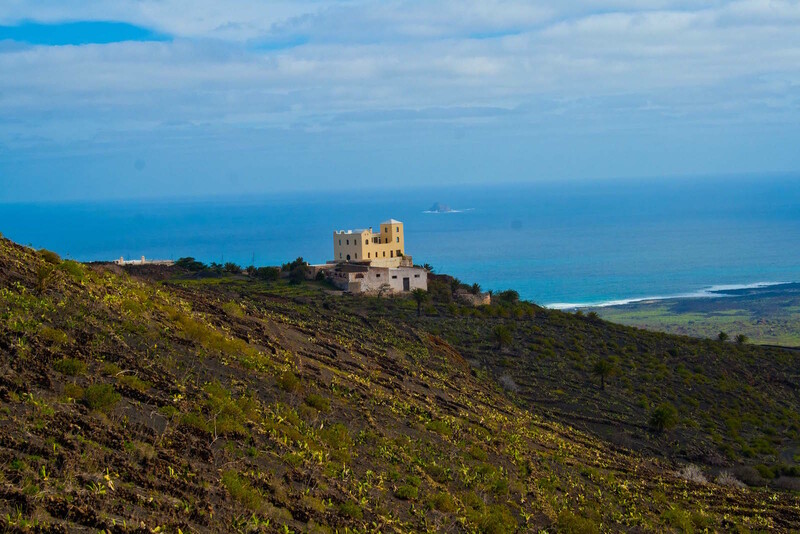 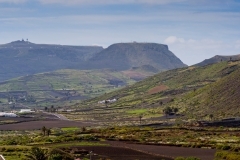 During the walk one can enjoy with beautiful views of vineyards and spectacular lava flows known as “malpais” with huge basaltic blocks extending down to a smerald coast of white sand. 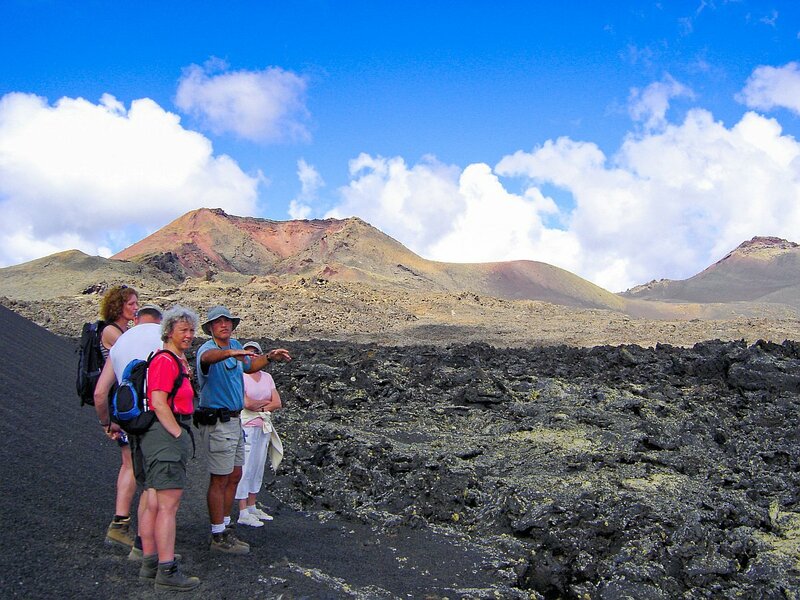 After visiting its amazing crater the trail carries on around east face of La Corona and there one is able to observe the lava tunnel of 7,6 km long. 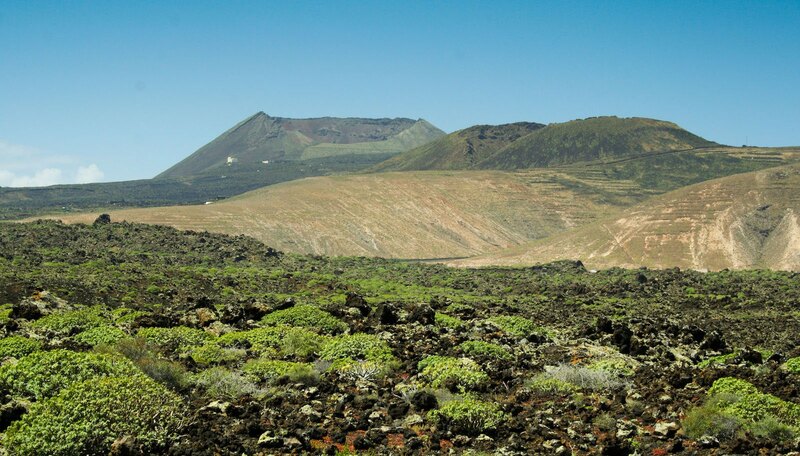 The last 1,6 km of this lava cave is under sea because the eruption of this volcano happened during the last ice age when sea level was 90 m lower than nowadays. 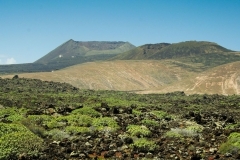 As many other volcanoes in Lanzarote, La Corona is aligned with another 4 volcanic cones. 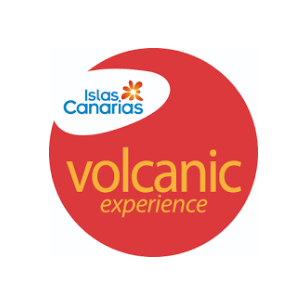 In this route we will ascend to 3 of them; Volcán de la Cerca, Los Helechos and La Quemada, these volcanoes were probably contemporary to La Corona in its volcanic activity. 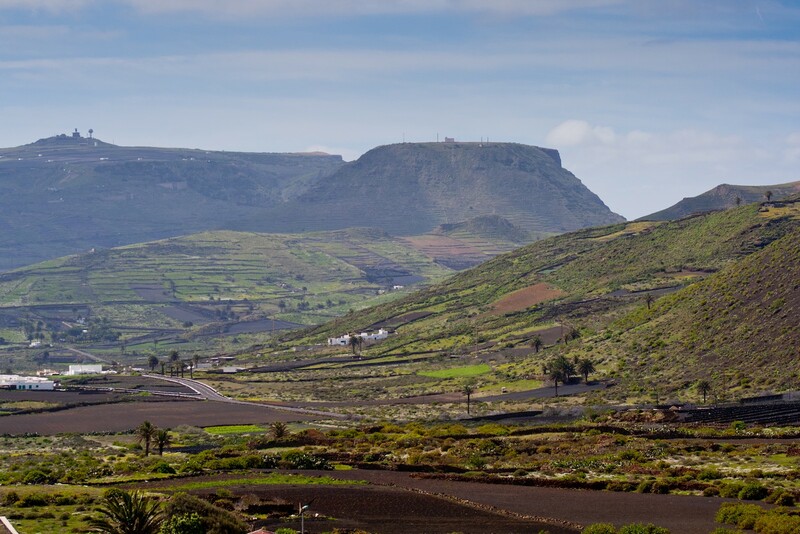 This alignment of volcanoes rise up over the Famara massive therefore the top of these cones get 580 m offering impressive views of east and west sides of Lanzarote´s north. 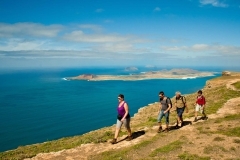 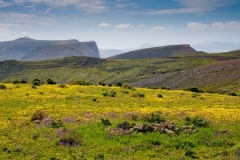 Later on, route will go along the highest part of Famara Cliffs. 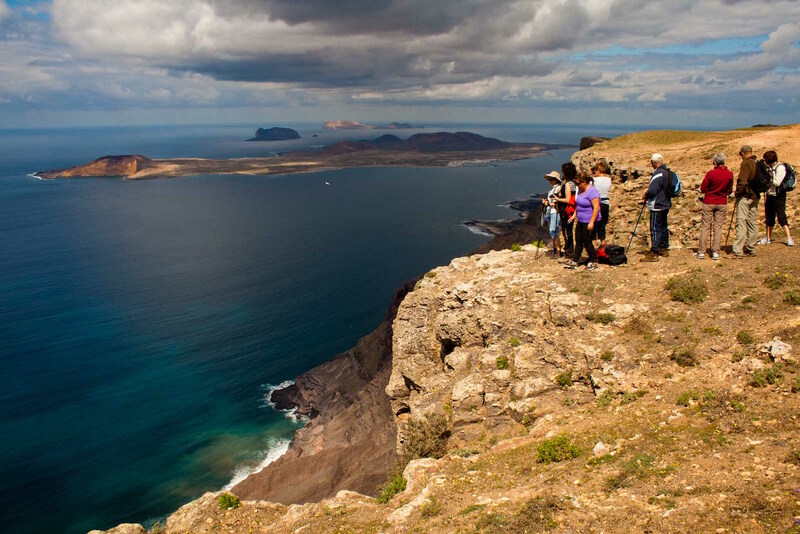 These cliffs is really a marvel of nature because is a huge wall of rock of more than 500m high rising up from the sea and 22 km along the northwest coast. 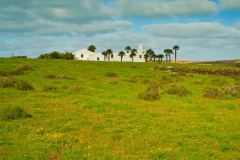 During the walk along the edge of the central part of the cliff one will be able to enjoy with fantastic views of Chinijo Archipelago, the group of islets situated at the north of Lanzarote and also not far from where we are, we will see the highest point Lanzarote, Peñas del Chache with 670m. 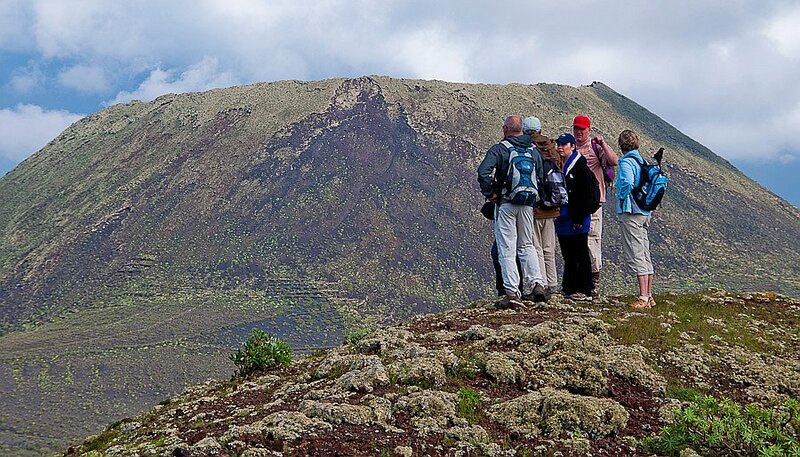 Due to elevation and influence of trade winds during this part of the hike, visitor will discover one of the nature areas with more diversity of flora with many volcanic species and also bird life that our nature guide will show you. 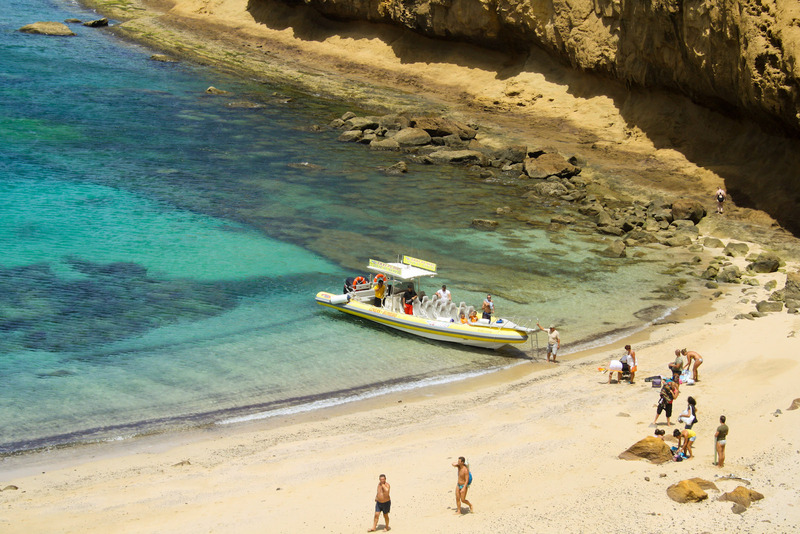 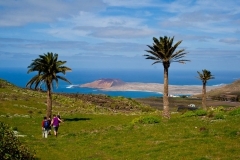 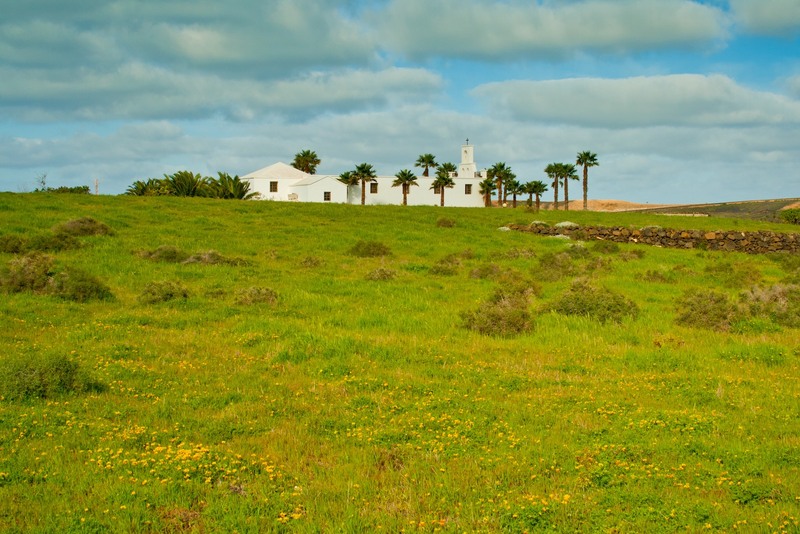 The last part of this trek is through one the gorges that leads to fertile valleys of Haria and Maguez with typical white houses and more than a 1000 palmtrees and fruit trees where we end our experience in the north of this impresive island. 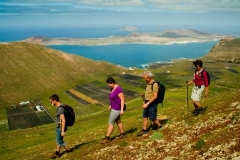 Price adult: 45€ Price children (under 12 years old) 39€.